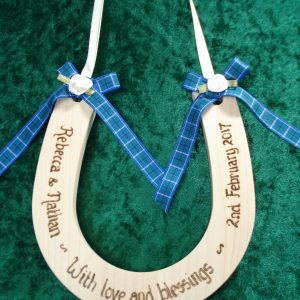 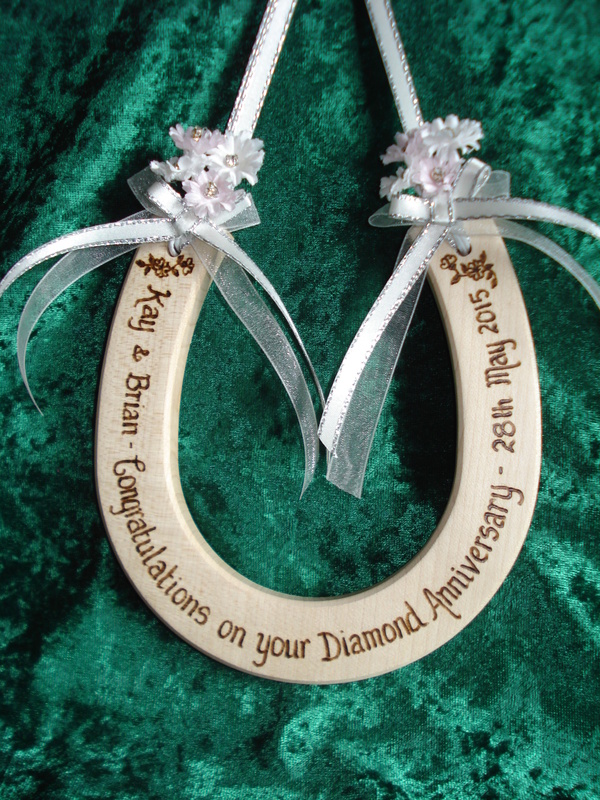 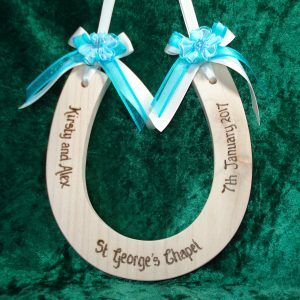 The horseshoes are available in the standard or deluxe design and are trimmed to match the occasion . 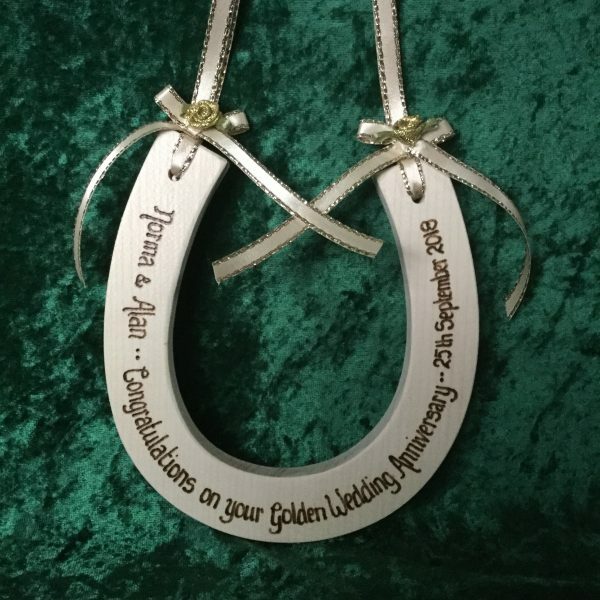 The photo shows a standard Golden Anniversary Horseshoe. 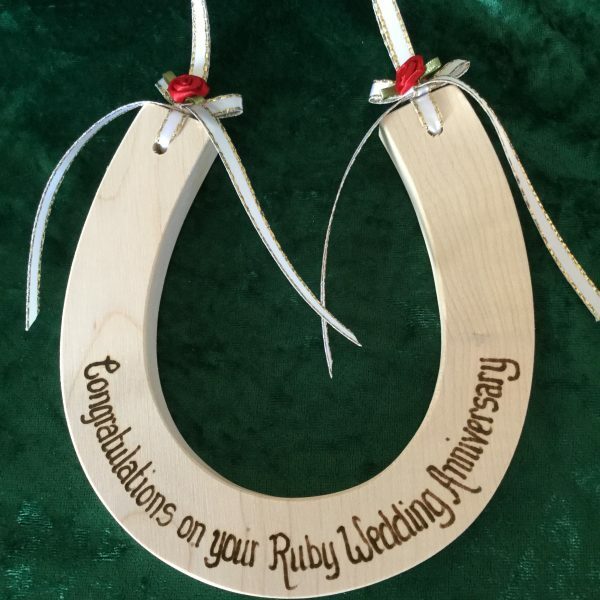 It has a single ribbon rose in the relevant colour on either side. 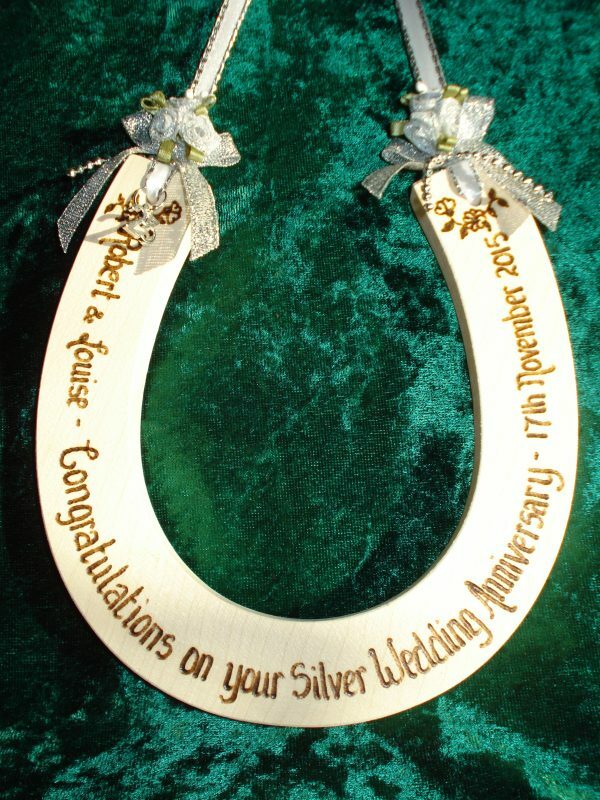 The deluxe version has a triple ribbon rose spray either side. 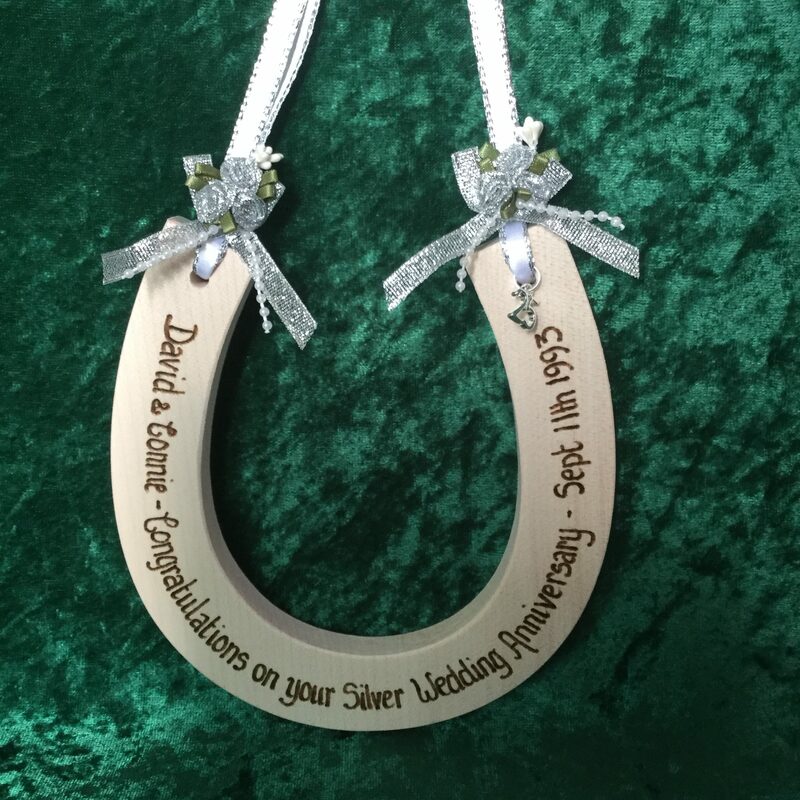 As well as the text on the front there is room on the back to add who the gift is from. 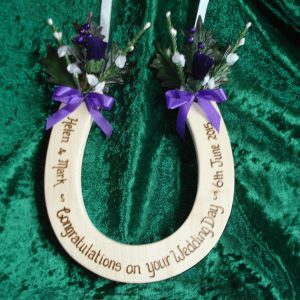 The horseshoe is solid sycamore and measures approx. 5.5inches x 5.5inches and is about half an inch thick.